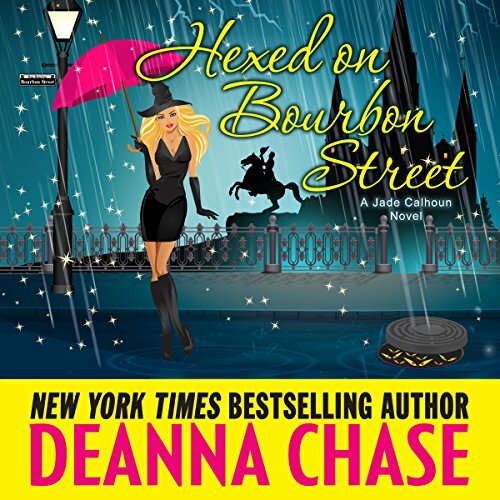 From New York Times best-selling author, Deanna Chase, the eighth book in the Jade Calhoun series. Between enjoying her first pregnancy and helping her two besties plan their weddings, Jade Calhoun's life is just about perfect. But when two novice magical TV stars walk into her life, suddenly her magic goes haywire. Is the pregnancy causing her power to fizzle, or is it something else? Now with her empath abilities on the fritz, a newbie TV witch in need of instruction, and a sinister evil lurking in the background, Jade must find a way to navigate her new and unusual powers, keep her unborn child safe, and somehow save everyone she loves and the city of New Orleans... again. I loved the whole series all 8 books. I sure hope to read more adventures about Jade and Kane after the baby is born. I can't wait to see what kind of things comes their way. It will be fun to see the baby some into her own. Hope we get to follow the on goings of the whole family to include Piper and Lucious. It would be fun to intertwine the two together into one book. They are all connected so why not? The only thing I hate is the dragon was mean. I have listened to another book where the dragon was a cute flappy dragon and makes so much more fun. But I love all the characters.